This is a New, not refurbished HP LaserJet 1018 Laser Printer, with a new modified MICR toner cartridge. We've aquired a large lot of HP 1018 printers, then we've filled the original toner cartridge that comes with it with MICR toner. We normally sell the new MICR toner cartridge for this printer for $120. 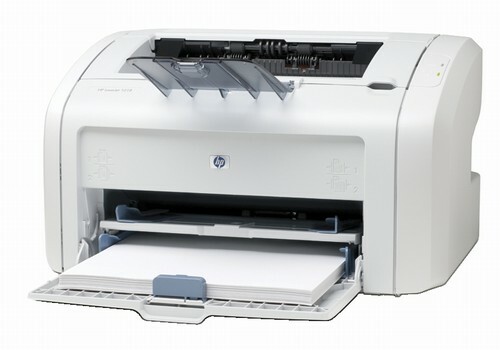 Technicians Review: The 10XX series of printers is HP’s answer to comparable low priced laser printers currently flooding the market. Overall these printers are of very good quality, for very low end printers. We don’t see very many repair jobs on these models past the initial 1 year HP warranty. Mostly because when they do break after the first year, customers choose to buy a newer model rather than fix the old one. The cost per page is relatively high, even when using remanufactured cartridges. These printers are a good solution if you want laser quality at home, or need a desk top printer for a very light user. Expect these units to be good for 1 year, or up to 100,000 pages. Additional Information Custom Media Sizes:Input tray: 5.8" by 8.27" to 8.5" by 14"Manual feed slot: 3" by 5" to 8.5" by 14"